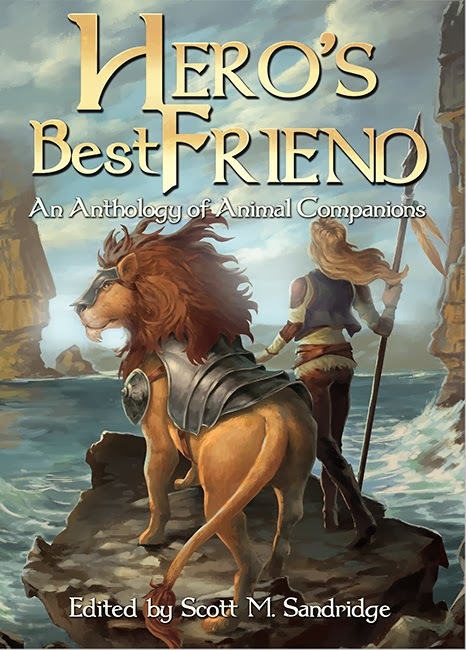 Joy's latest published short story, "Toby and Steve Save the World" is out from Seventh Star Press in the anthology, Hero's Best Friend, edited by Scott M. Sandridge. Hero's Best Friend Synopsis: How far would Gandalf have gotten without Shadowfax? Where would the Vault Dweller be without Dogmeat? And could the Beastmaster been the Beastmaster without his fuzzy allies? Animal companions are more than just sidekicks. Animals can be heroes, too! Found within are twenty stories of heroic action that focuses on the furries and scalies who have long been the unsung heroes pulling their foolish human buddies out of the fire, and often at great sacrifice—from authors both established and new, including Frank Creed, S. H. Roddey, and Steven S. Long.